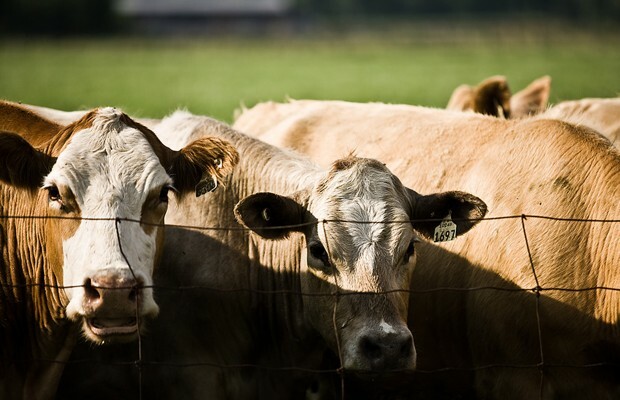 UNDATED - South Dakota feedlots, with capacities of 1,000 or more head, contained 255,000 cattle on feed on May 1, according to the USDA's National Agricultural Statistics Service. This inventory was down 4 percent from last year. Placements during April totaled 34,000 head, up 42 percent from 2016. Fed cattle marketings for the month of April totaled 27,000 head, up 23 percent from last year. Other disappearance during April totaled 2,000 head, unchanged from last year. Cattle and calves on feed for the slaughter market in the United States for feedlots with capacity of 1,000 or more head totaled 11.0 million head on May 1, 2017. The inventory was 2 percent above May 1, 2016. Placements in feedlots during April totaled 1.85 million head, 11 percent above 2016. Net placements were 1.78 million head. During April, placements of cattle and calves weighing less than 600 pounds were 348,000 head, 600-699 pounds were 255,000 head, 700-799 pounds were 490,000 head, 800-899 pounds were 495,000 head, 900-999 pounds were 190,000 head, and 1,000 pounds and greater were 70,000 head. Marketings of fed cattle during April totaled 1.70 million head, 3 percent above 2016. Other disappearance totaled 66,000 head during April, 13 percent below 2016.